In October 2014 AND Abandon Normal Devices came together with Marshmallow Laser Feast and the University of Salford to embark on a research project, titled Project Daedalus. 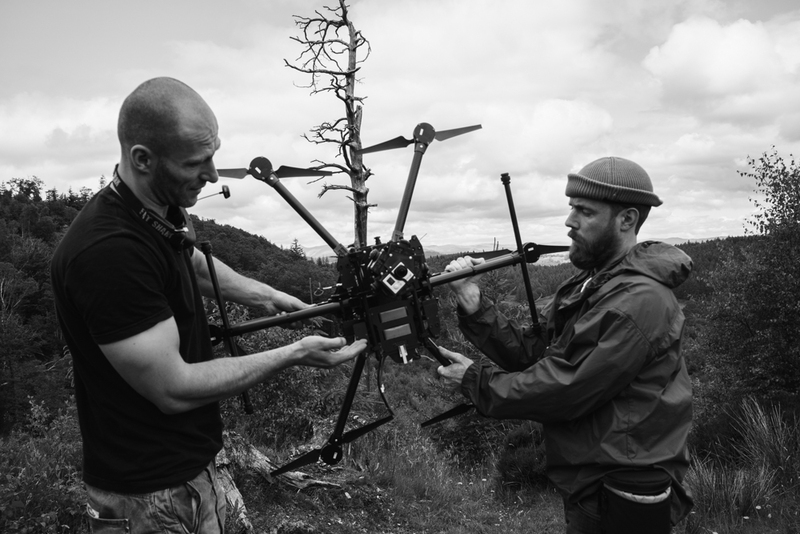 The project looks at the emerging field of ‘drone cinema’. This research is an exciting opportunity to repurpose drones for creative control creating multi-user experiences and new audience environments. We are testing non-linear storytelling and interactive environments where audiences can engage remotely as well as share and create content in new ways. The learning from these tests will inform an open source digital toolkit enabling other organisations to understand how quadroters can revolutionise audience engagement. Project Daedalus is funded by the Digital R&D fund. The Digital R&D fund for the Arts is a £7 million fund to support collaboration between organisations with arts projects, technology providers, and researchers. It is a partnership between Arts Council England, Arts and Humanities Research Council and Nesta.